There are permanent hair removal companies and there is Braun Silk Expert IPL. Braun is a leading company that features permanent hair removal devices using intense pulsed light (IPL) technology. To prove its excellence in hair removal industry, Braun devised Venus Silk-Expert package, which includes “Braun Silk Expert 3 IPL” & “Braun Venus Silk Expert 5 IPL”. In order to make it easier for you beautiful lady, our team of experts have made researches and tests to show you the best, safest, and most manageable device from Braun Silk Expert IPL that satisfies your desires and gives you the permanent hair reduction you always wanted. 1 Why Choose Braun Silk Expert IPL? Why Choose Braun Silk Expert IPL? There are several logical reasons why you should use Braun Silk Expert IPL at home. 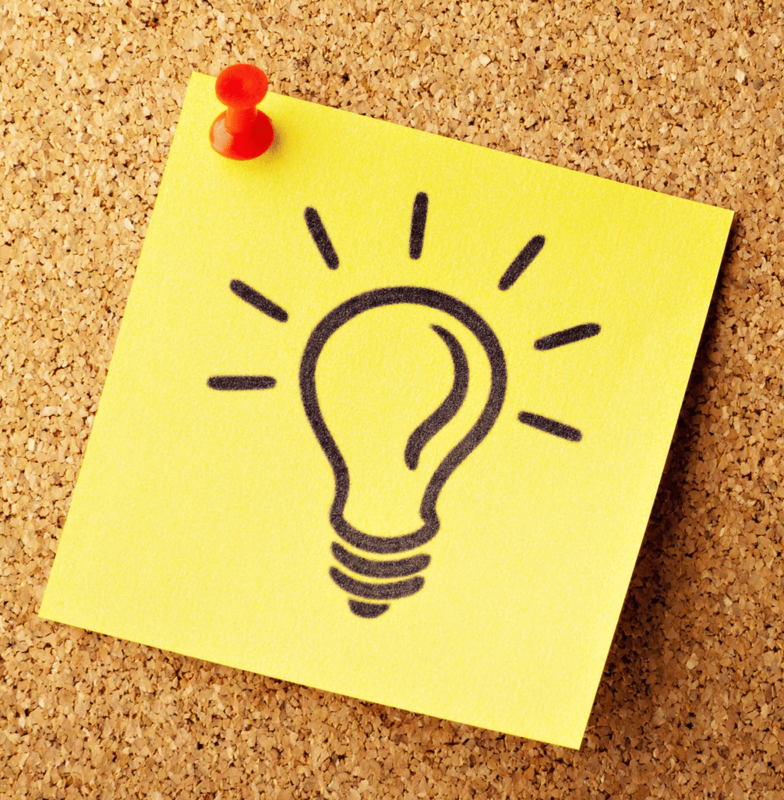 But the most important questions that need to be answered are: Are these devices safe to use at home without the need for aid from a specialist? Are they applicable and easy to use? And do they last for a long period of time or just for few years? 1) They are safe and tailored to many types and tones of skin. Braun Silk expert IPL hair removal is a modern technology that combines developed sensors. Sensors guarantee you won’t mistaken the setting suitable for your skin. They scan your skin tone and adjust the light intensity automatically. Accordingly, the device gives the corresponding amount of light with all pulses, which secures safe, effective outcomes. When you use methods other than Braun Silk expert IPL, they temporarily remove your body hair. It can grow again in a few weeks or days. But Venus Silk-expert IPL focuses its light pulses on the root, preventing follicles from helping in re-growing hair. Thus, The result is surprisingly lasting hair reduction and smooth, shining skin. Braun Provided 2 models of IPL hair removal devices (3,5), each lasts for a very long period of time with 250,000 and 300,000 respectively. Moreover, the devices deliver an equivalent of 12-15 years of constant use. Braun Silk Expert IPL 5 and 3 adapt to different skin tones quickly and accurately with full energy. The gentle mode lowers the energy while also adapting to the skin tone. When using the device on sensitive areas, you can use the extra gentle mode from Braun Silk Expert 5 to reduce the energy level to the minimum. The device is approved by the Foods And Drugs Administration (FDA) and it's clinically tested for at-home effortlessly effective use. That means more trust and safety. The device meets EU standards and it has CE certification. 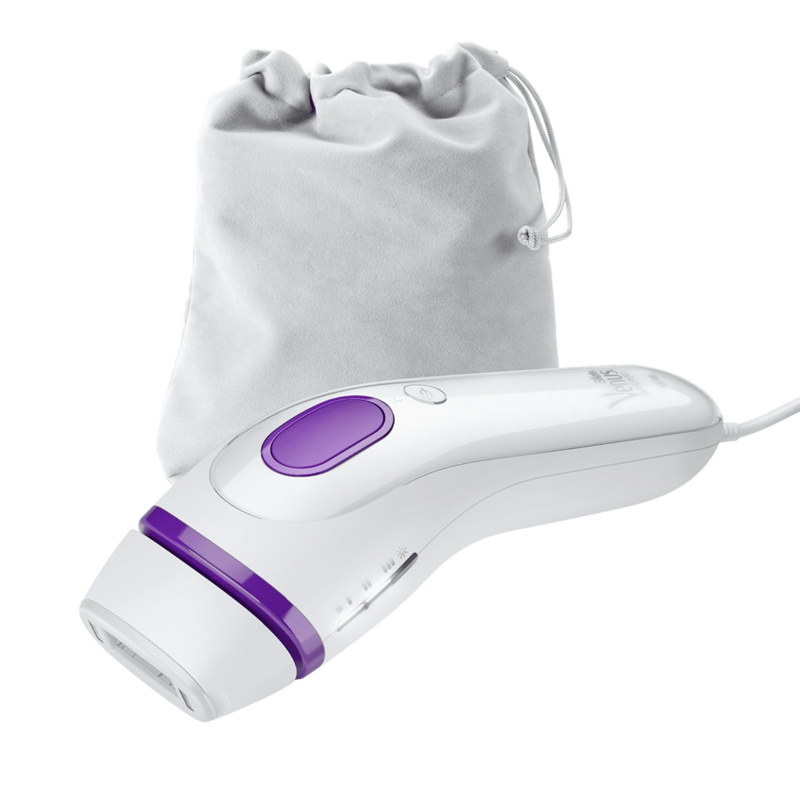 Braun Silk Expert IPL is the only IPL device with built-in SensoAdapted technology. The skin tone sensor makes the IPL only works on suitable skin tones and hair colors. If not suitable, the device with not emit. Venus Silk-Expert breaks the hair re-growth cycle by putting the hair follicles to sleep. It sends pulses of light to damage the hair follicle in order to permanently reduce its re-growth speed. Braun Silk Expert sends gentle pulses of light to the hair follicles which contains concentrations of melanin (coloring pigment). The pigment absorbs the pulses which – in turn – turns into heat then damages the growing cells (hair-producing papilla). IPL only treats the targeted skin tissue, it doesn't affect the surrounding tissues or damage it. So, if there is anything wrong with a particular area – such as burns or discoloration – you can treat the surrounding area without affecting it. The device only works when the skin sensor makes full contact with your body. So, it's tailored for safe, yet effective, at-home use without need for specialist salons. The company put IPL technology safely right in your hands. Braun Silk Expert IPL technology works on a wide range of skin and hair colors. It can treat hairs that contain bigger amount of melanin that can absorb the light energy from natural blond to dark brown and black hairs. It does not work on light blond, red, grey, or white hairs. Furthermore, it treats all skin tones from light blond to dark brown, but it’s not suitable for darker skin tones such as brownish black. The darker skin tones contain more melanin which can absorb lights more than the recommended quantity. That can cause discomfort or even burns. There are 2 models of Braun Silk Expert IPL: Venus Silk-Expert 3 IPL, Venus Silk-Expert 5 IPL. The first one was released in two versions, the Silk-Expert 3 IPL BD 3001 and the Silk-Expert 3 IPL BD 3005. While the second one has 4 versions: The Silk-Expert 5 IPL BD 5001, BD 5007, BD 5008, and BD 5009. Braun Silk Expert IPL was originally made with only 120,000 flashes. The company then produced more developed devices with 250,000 and 300,000 flashes. Now, let’s have a closer look at each one and the difference between them. 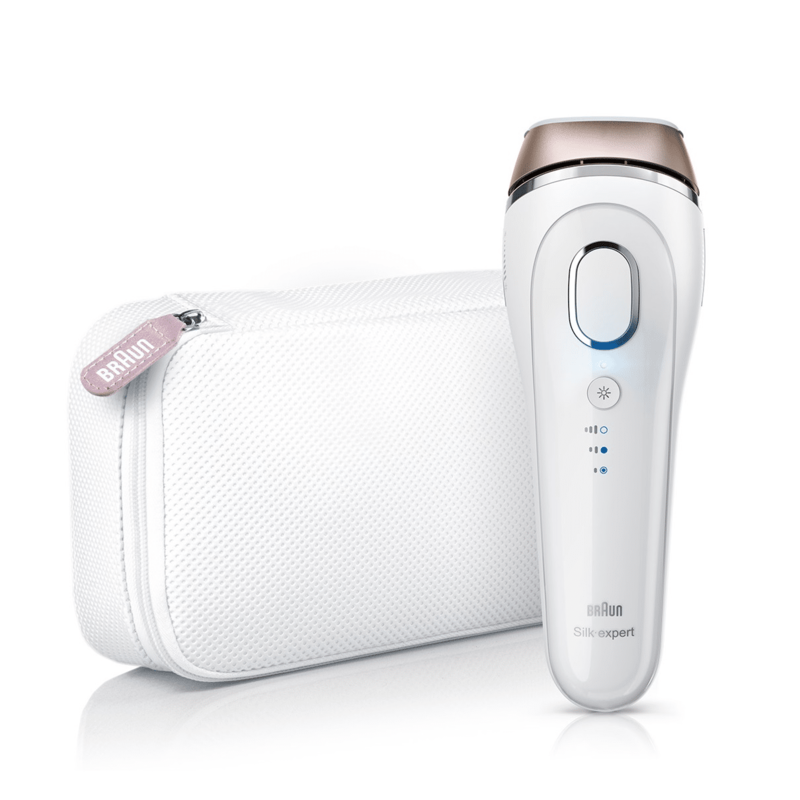 With a cost of only $445.99 (MSRP), Braun Silk Expert 5 IPL BD 5001 provides fast, yet effective, treatment for larger and smaller areas. The device sends pulses every 2 seconds only when it fully contacts with your skin, so it ensures 2 important advantages: Speed and effectiveness. You can use it on face, body, bikini line, and underarms. Moreover, it provides permanent hair reduction with IPL technology that automatically adapts to your undertone. FDA-cleared and clinically tested for at-home effortlessly effective use. That means more trust and safety. The device meets EU standards and it has CE certification. Recommended by dermatologists, recommended by more than 76% of satisfied customers. 94% of women noticed great results after only 3 treatments. While 89% of women experienced permanent hair reduction for about 12 weeks after the last treatment. Suitable for a wide range of skin tones: Braun Silk Expert IPL 5 treats from normal blond to dark brown and black hairs, while it doesn’t work on light blond, red, white, and grey hair colors. It is also suitable for skin tones from light blond to brown ones. It doesn’t treat darker brown skin. No hidden costs for replacement parts, lotions, or gels. The device is very simple and it comes ready to use. Long life lamp provides 300,000 flashes which equals around 17-18 years of hair-free, smooth skin. SensoAdapt skin tone sensor reads each skin tone of different parts of your body then automatically adapts the light intensity suitable for it. 3 Modes: Normal mode which uses full energy for treating any area, gentle mode that uses lower levels of energy for smaller areas, and extra gentle mode for beginners and for use on sensitive areas. 2 methods of use: Stamp mode which is best for sensitive and small areas such as underarms. Gliding mode suitable for larger areas such as legs as it triggers more flashes while gliding. Fast and effective treatments. Braun Silk-Expert IPL 5 emits pulses of light every 2 seconds which means more flashes and fewer missed areas. It can treat one leg or arm in just 8-10 minutes. Underarms take up to 1:30 minutes. Full body takes up to 30 min. Only Philips Lumea Prestige BRI956 and SmoothSkin Bare beat it. 3 cm2 lets you treat up to 900,000 cm2 of your body with the 300,000 flashes. That means about 110+ full body treatments. Gillette Venus razor for smooth shave before treatments. 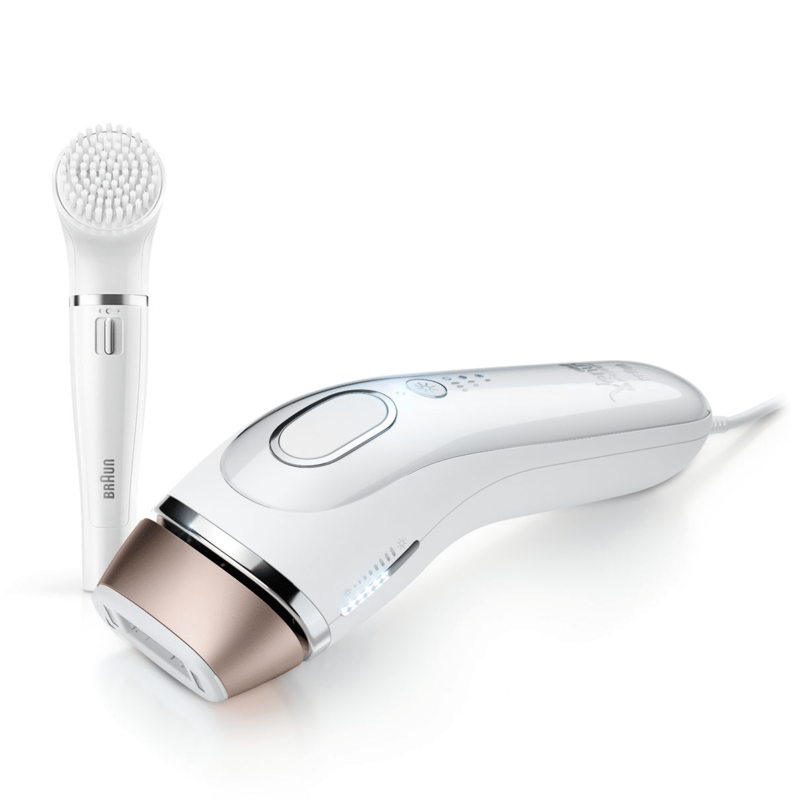 The device With Sonic body exfoliator (Braun Silk Expert 5 IPL BD 5009 costs only £499.99 on the official site and $302 on Amazon). With facial cleanser (Braun Silk-Expert 5 IPL BD 5008 costs only $479.99 on the official site and $384 on Amazon). Or With premium pouch (Braun Silk Expert 5 IPL BD 5007 costs only $399.00 on the official site and $389 on Amazon). 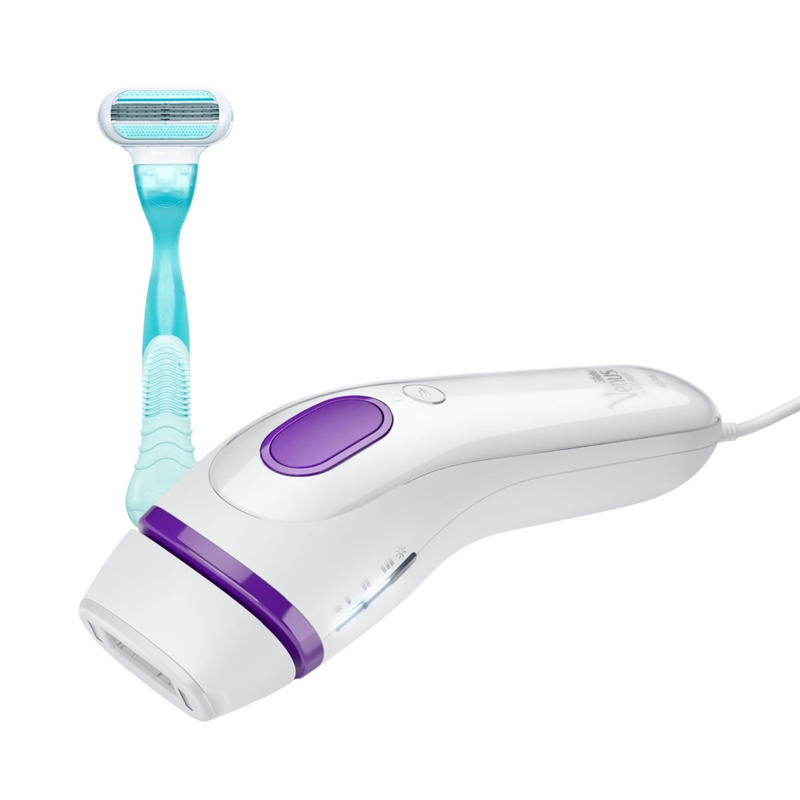 Venus Silk-Expert 3 IPL BD 3001 from Braun only costs $299 (MSRP). It’s a fast and effective device that gives you great at-home results that equal clinical ones. It’s a super safety system with SensoAdapt technology and UV filter; the device will not emit light pulses until it makes full contact with your skin. 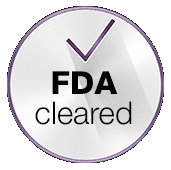 FDA-cleared and clinically tested for at-home safe and effective use. Recommended by dermatologists and recommended by more than 97% of satisfied customers. 94% of women noticed great results after only 3-5 treatments and 89% experienced permanent hair reduction for 12 weeks since their last treatment. 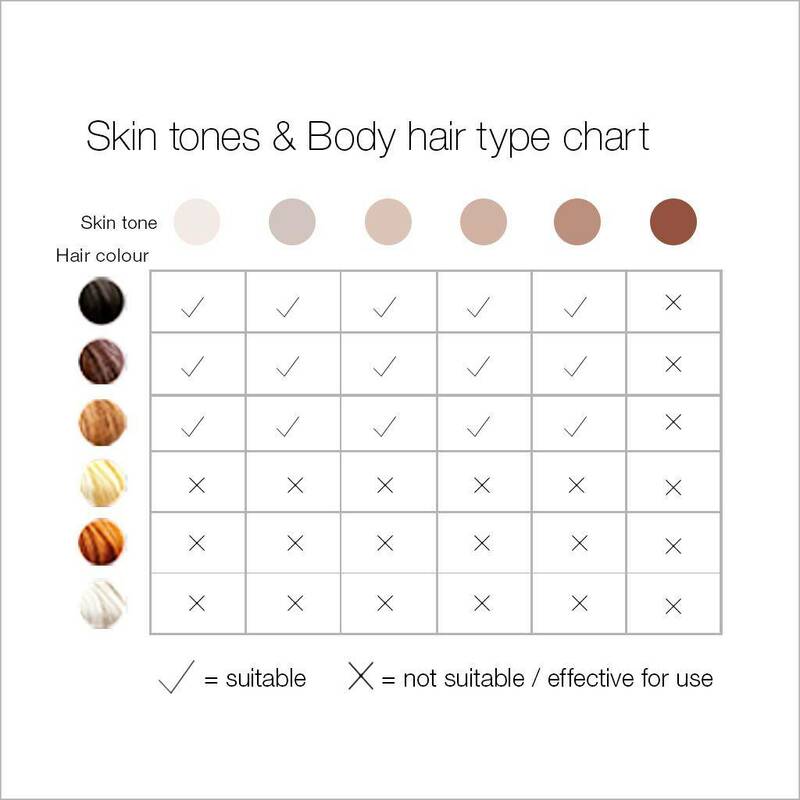 Suitable for many skin tones: The same as Silk-Expert 5, Venus Silk-Expert 3 treats from normal blond to dark brown and black hairs, and it doesn't treat light blond, red, white, and grey hair colors. In addition, it works on skin tones from light blond to brown ones. It doesn't work on darker brownish black skin. No hidden costs, no replacement parts, and no lotions or gels. It's a simple, ready-to-use device. Long life lamp provides 250,000 flashes which equals around 15 years of permanent hair removal. SensoAdapt skin tone sensor reads skin tones of different areas of your body then automatically adapts the light intensity suitable for it. 2 Modes: Normal mode which uses full energy for treating any area, gentle mode that uses lower levels of energy for smaller areas and sensitive areas. 2 methods of use: Stamp and flash mode which is best for sensitive and small areas such as underarms. Glide and flash mode suitable for larger areas such as legs as it triggers more flashes and less time while gliding. Braun Silk-Expert IPL 3 emits pulses of light every 2-3 seconds which means more flashes and fewer missed areas. 14-16 minutes for one leg or arm. up to 2 minutes for Underarms. Full body takes up to 1:30 hour. Individual results vary. 3 cm2 lets you treat up to 750,000 cm2 of your body with the 250,000 flashes. That means about 90+ full body treatments. There is another edition of Braun Silk Expert IPL 3 which is Braun Silk Expert 3 BD 3005 with pouch. It has the same specifications and features except the Gillette Venus razor. This doesn’t make it any worse, actually the pouch is very important to save the attachments of the device when not in use. 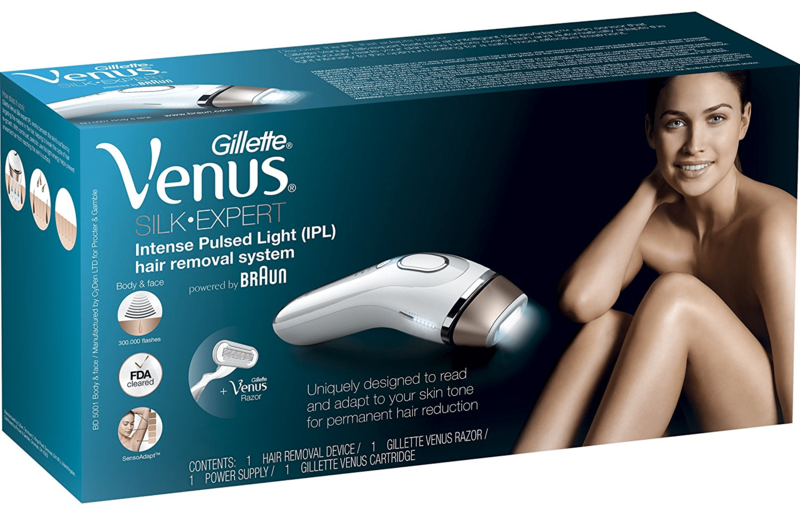 You can purchase the Gillette Venus razor from retailers if you want. 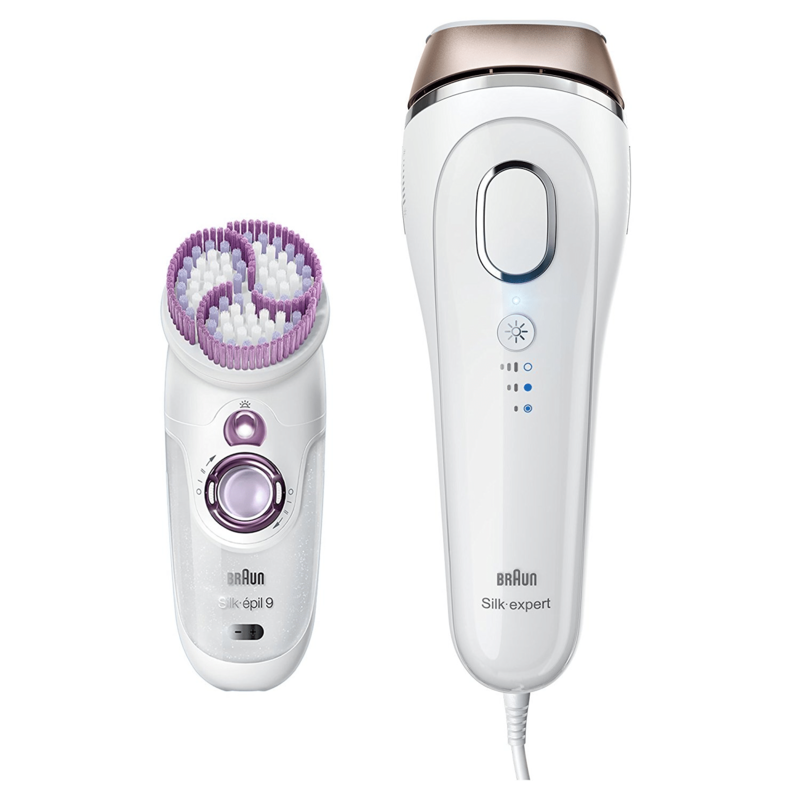 Braun Silk Expert BD 3005 also comes at the same price of Silk Expert BD 3001 ($299.00). 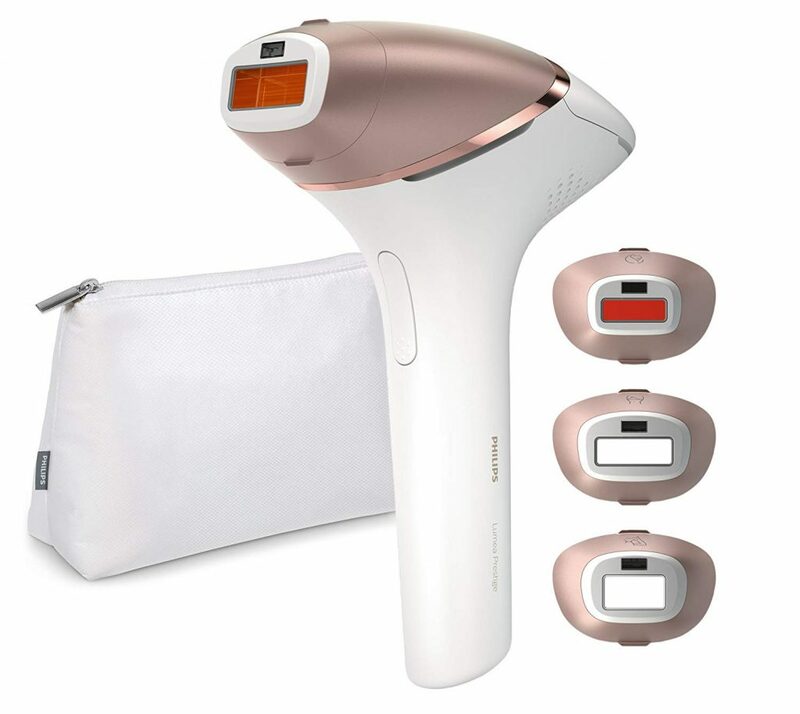 Venus Silk-Expert IPL 3 & 5 by Braun have little differences in specifications, features, prices, and colors. Below is a comparison between the 2 models of Braun IPL hair removal systems. · Underarms: Up to 2 minutes. · Full body: Up to 1:30 hour. · Up to 15 years. · From natural blond to black hair colors. · From light blond to dark brown skin tones. · Underarms: Up to 1:30 minutes. · Full body: Up to 1 hour. · Up to 18 years. Braun Silk Expert 5 IPL clearly has the advantage over the Silk Expert 3. It’s more effective and precise, faster, safer, and lasts for a longer period of time. If you’re considering the cheaper price, we do not recommend choosing Venus Silk Expert 3 over 5. Although it may seem a lot cheaper, but measuring the safety accompanied with the 10 intensity levels and the lamp lifetime will make it easier to decide. As mentioned before, Venus Silk-Expert 5 has 10 energy levels and lasts for around 17 years of effective continues use and 113+ full body treatments. While Venus Silk-Expert 3 only has 3 energy levels and lasts up to 15 years which equals 100+ full body treatments. So, there are around 10 treatment sessions for Braun Venus Silk Expert 5 enough for additional 1-2 years. That makes no cost difference between the two devices. Furthermore, there are always sales on the devices up to 50%. You can buy yours when find the suitable sale and you see the time is proper. 1 Braun Venus Silk-Expert IPL (3,5). 2 user manuals with different European languages. One of the following tools: Gillette Venus razor, Sonic body exfoliator, facial cleanser, or premium pouch. Stay out of the sun for 2 weeks before the treatment. Shave the targeted area and be sure that it's free of hair on the surface. Wash the targeted area then dry it. Plug in the Venus Silk-Expert. Put the nozzle on your skin to make full contact with it. Use normal mode for large areas. Use gentle and extra gentle modes if you're beginner or on sensitive areas. For larger areas use gliding mode: press the button then glide along your skin while still pressing. For smaller and sensitive areas use stamp mode: put the device on your skin and press the button then take it off. Repeat the process on the other parts of the targeted area. Clean the nozzle after every use. Do not exposure to sun light for at least 7 days and use sunscreen of 15 SPF or greater or cover the treated area with proper clothes. Repeat once every week for 4-12 weeks. Then use according to your needs. If you have to go out, cover the treated area or use sunscreen of 15 SPF or greater. Always use lower setting when treating, then consider adjusting the higher setting which makes you feel comfortable. Braun Silk-Expert works without need of lotions or gels. You Also don’t need to buy additional replacement lamps like some other IPL devices. Use Venus Silk-Expert once a week for 4-12 weeks for optimum results. If you stop seeing growing hairs, stop the weekly treatment and switch to the maintenance mode. Read user manual and follow the manufacturer instructions. Avoid sunlight before the treatment for 2 weeks at least for more effective treatment. Also avoid tanning for at least 48 hours before and 24 hours after the treatment. Tanning darkens the skin. Make sure the area to be treated is clean and free of burns of discoloration. Avoid sunlight after the treatment for 7 days minimum. Not suitable for use around the eyes or on eyebrows. Don’t use on any area that has tattoos or makeup. They may change the color of the skin and hairs and then lead to burns of skin discoloration. Not for use on: Skins sensitive to light, skins that have or had active skin cancer, and skins that have Burns, eczema, infections, or inflammation of hair follicles. 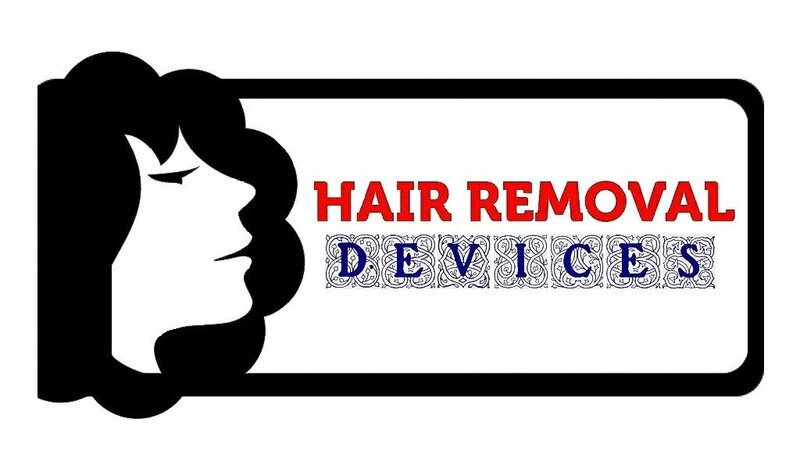 Consult your doctor before using any IPL or laser hair removal device. If any side effect is noticed, stop using the device and talk to your doctor. Braun did not produce many IPL hair removal devices like other companies. It only produced one product then developed two devices derived from the original one. This makes them so similar in order to make it easier for you to choose. Moreover, the 2 devices are so fabulous , they provide safe, effective treatments for a very long period of time. In addition, they are FDA approved and they meet the EU standards. So, what prevents you now from having your own one! IPL Laser Hair Removal... Does It Really Work? MLAY M3 & T3 IPL Hair Removal Systems... Are They Worth It? Electrolysis VS Laser Hair Removal … Which Is Best? Epilation Laser … Is It Worth It? Laser Hair Removal For Men | Is It Worth It? Armpit Hair Removal | What Is It? Does It Work? IPL Laser Hair Removal… Does It Really Work?